A change in how the most widely used credit score in the U.S. is tallied will likely make it easier for tens of millions of Americans to get loans. Fair Isaac Corp. FICO +0.02% said Thursday that it will stop including in its FICO credit-score calculations any record of a consumer failing to pay a bill if the bill has been paid or settled with a collection agency. The San Jose, Calif., company also will give less weight to unpaid medical bills that are with a collection agency. The moves follow months of discussions with lenders and the Consumer Financial Protection Bureau aimed at boosting lending without creating more credit risk. Since the recession, many lenders have approved only the best borrowers, usually those with few or no blemishes on their credit report. The changes are expected to boost consumer lending, especially among borrowers shut out of the market or charged high interest rates because of their low scores. “It expands banks’ ability to make loans for people who might not have qualified and to offer a lower price [for others],” said Nessa Feddis, senior vice president of consumer protection and payments at the American Bankers Association, a trade group. As of July, about 64.3 million consumers in the U.S. had a medical collection on their credit report, according to data from credit bureau Experian. And of the 106.5 million consumers with a collection on their report, 9.4 million had no balance—and won’t be penalized under the new credit-score system. 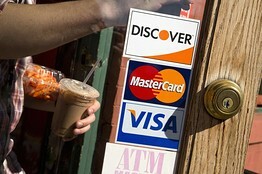 Many types of debt, including credit cards, can be discharged in bankruptcy. If borrowers fall behind, they could file for bankruptcy and cause lenders to suffer losses, Mr. Strong said. A Consumer Financial Protection Bureau spokeswoman declined to comment on the changes by Fair Isaac. Under the current system, collections can impact credit scores as much as foreclosures and bankruptcies do. But the infractions are often small. Borrowers can be on time paying their debts, for example, but thrown by a medical emergency. Collections stay on credit reports for as long as seven years, even if a borrower has paid off that balance and remained up-to-date on other debts. Some experts said the new model for FICO scores walks a fine line: It loosens standards without overstating the creditworthiness of borrowers. Fair Isaac said it ran studies to determine how likely borrowers are to repay their debts if they had a stellar credit record with the exception of such collections. Consumers often are unaware that their insurance company isn’t paying a medical bill and can end up in default and in collection without knowing it, said Anthony Sprauve, senior consumer credit specialist with Fair Isaac. In contrast, lenders often send repeated notifications to consumers to let them know they have fallen behind. Most lenders check applicants’ FICO scores to help determine whether to extend credit to consumers and what interest rate to charge. Fair Isaac will begin rolling out the new scoring model, named FICO 9, to credit bureaus this fall and to lenders later this year. More than half of all debt-collection activity on consumers’ credit reports comes from medical bills, according to the Federal Reserve. Such activity results in lower credit scores for consumers, meaning that lenders are more likely to be cautious in extending credit. The number of U.S. consumers struggling with medical debt has been surging. As of 2012, 41% of U.S. adults, or 75 million people, had trouble paying medical bills, up from 58 million in 2005, according to a report released last year by the Commonwealth Fund. The CFPB, in a May report, criticized credit-scoring models used by the financial industry, saying they put too much emphasis on unpaid medical debt and lead to an overly negative view of consumers. CFPB officials say that medical debt is inherently different from other forms of debt because consumers are often unaware of what they owe to hospitals and doctors. FICO scores have many competitors but are the most widely used. Lenders used them in 90% of consumer and mortgage loan decisions, according to a study this year by the CEB TowerGroup, a financial-services research firm. VantageScore Solutions LLC, a rival credit-scoring firm in Stamford, Conn., rolled out a new scoring model in March 2013 that excludes all paid collections. Fair Isaac releases new scoring models every few years, and it is up to lenders to choose which ones to use. The new score will likely be adopted by credit-card and auto lenders first, says John Ulzheimer, president of consumer education at CreditSesame.com and a former Fair Isaac manager. Mortgages are likely to lag, since the FICO scores used by most mortgage lenders are two versions old. The impact of the changes on borrowers is likely to be significant. Accounts that are sent to collections, including credit-card debts and utility bills, can stay on borrowers’ credit reports for as long as seven years, even when their balance drops to zero, and can lower their scores by up to 100 points, said Mr. Ulzheimer. The lower weight given to unpaid medical debt could increase some affected borrowers’ FICO scores by 25 points, said Mr. Sprauve. Even a small move in a borrowers’ credit score can change the outcome of a loan application. Most lenders have a minimum credit-score requirement to lend to an applicant, and lenders can deny someone whose score is even one point below the minimum. Lenders determine the interest rate a borrower will get based on the borrower’s credit-score bracket. For example, borrowers with a FICO score between 760 and 850 get an average interest rate of 3.823% on a fixed-rate, 30-year mortgage of $300,000, according to Informa Research Services, a market-research company in Calabasas, Calif. Borrowers with a 759 FICO score get a 4.045% interest rate on the same loan. Over the life of the loan, the 760 borrower would pay $204,650 in interest charges—or $13,764 less than the 759 borrower. —Alan Zibel contributed to this article.